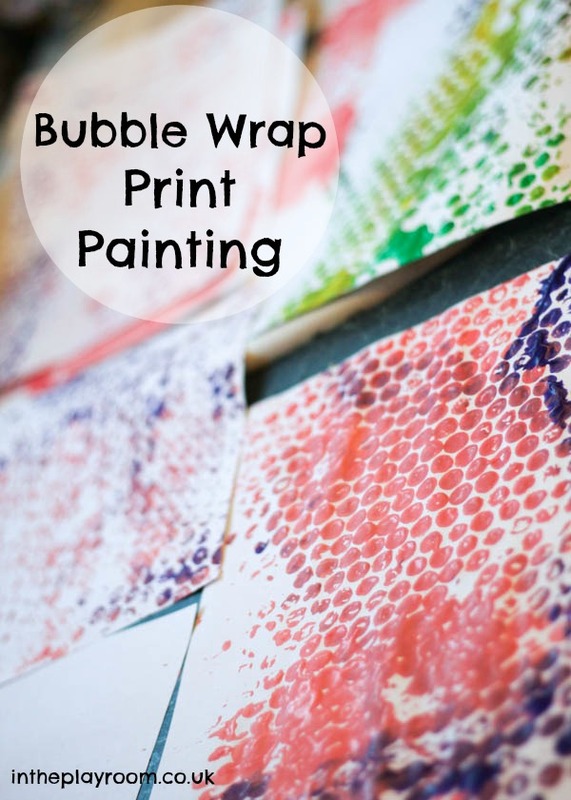 Bubble wrap print painting is a really fun process art painting activity. It’s very simple to set up, and lots of fun for all ages. We have done this as an after school activity, or for rainy days at home. 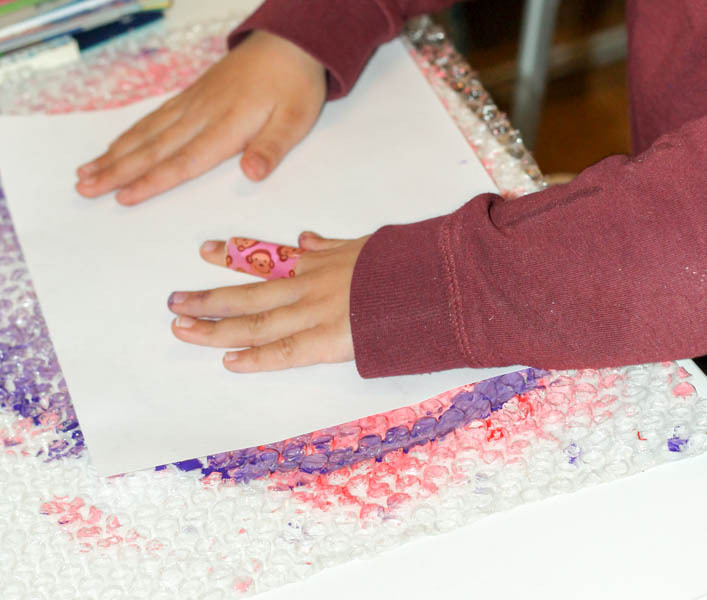 You can use the bubble wrap print paintings to make pictures or crafts, or just enjoy the process! 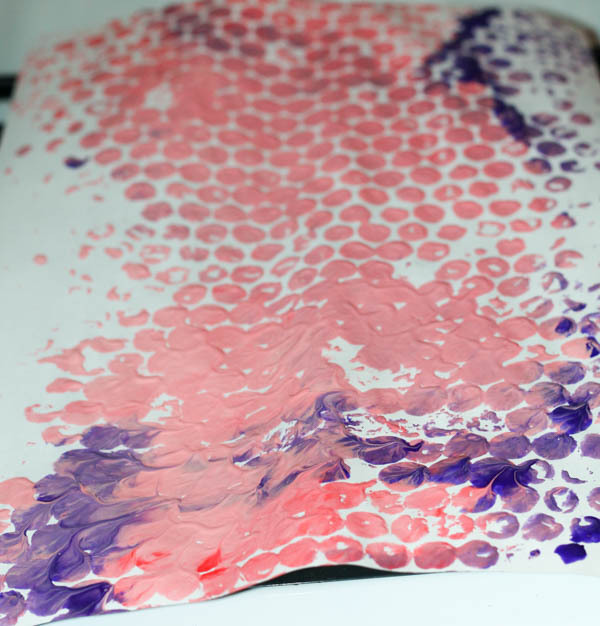 It’s always fun to experiment with painting on different textures, and since bubble wrap always instantly attracts my children this one was a hit with them. 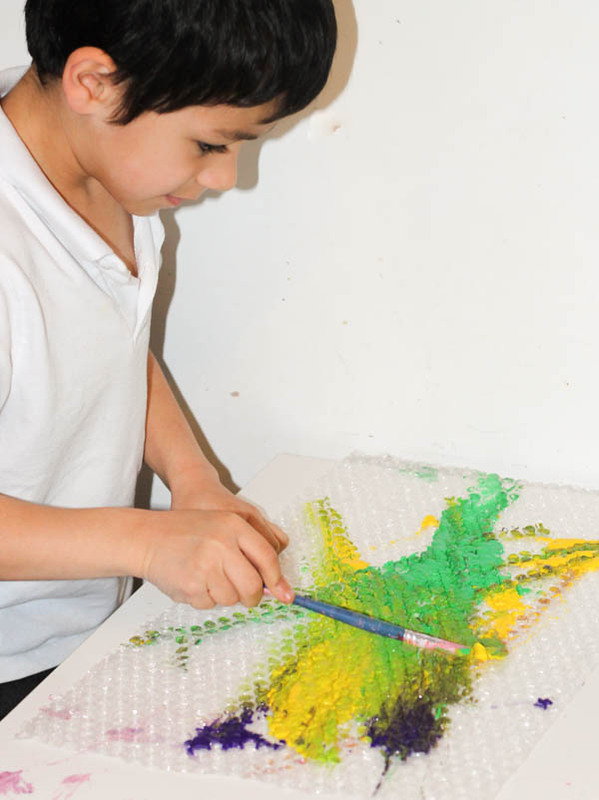 Then, take your paint brush and spread the paint all around. 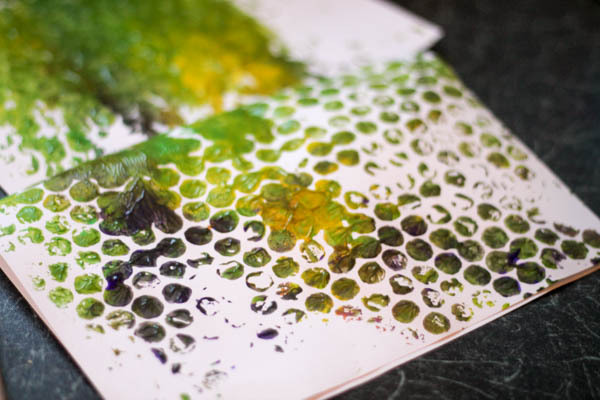 You don’t want too much paint in one space as the print will be less clear, so don’t over do it with the paint. Carefully lift up, and you have your print. 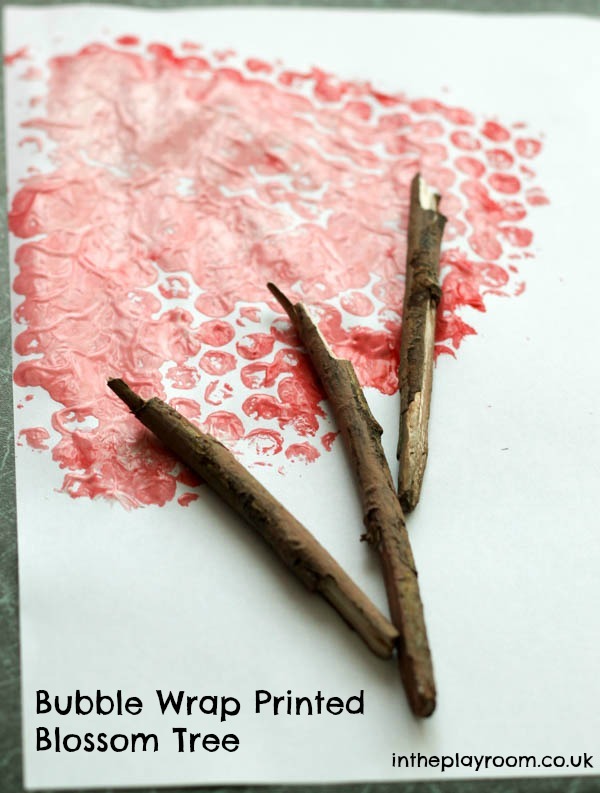 You can use them to make blossom trees for Spring, or adapt to any design. 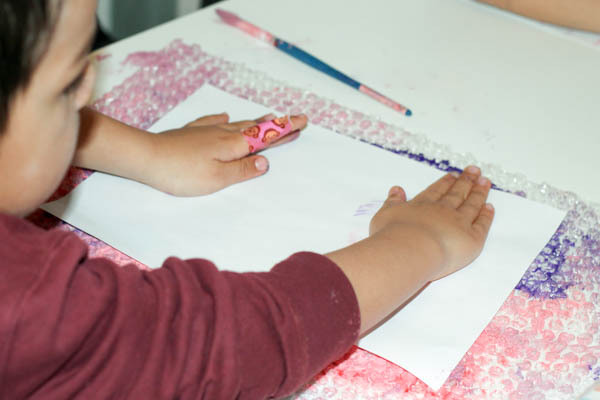 We made some similar bubble wrap painted trees for Autumn, but using bubble wrap as a mitten. 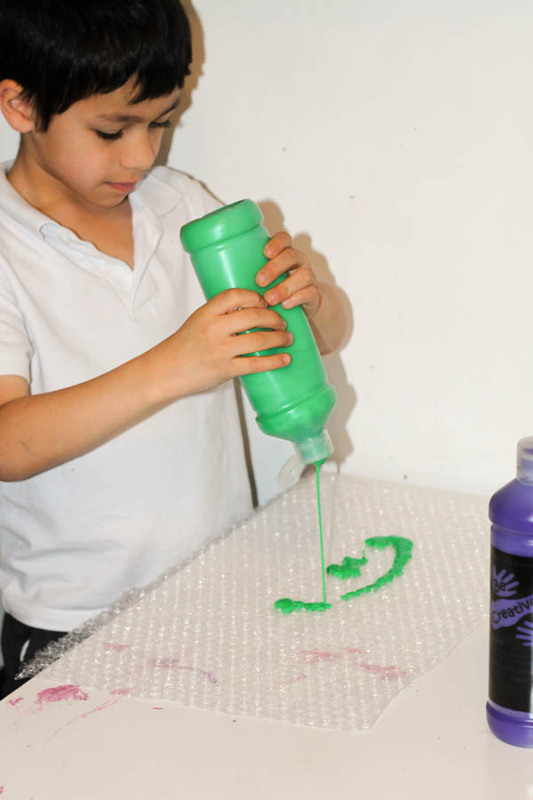 The results of bubble wrap print painting are simple but effective and a great way to explore pattern and texture. What a great idea! We always seem to have a lot of bubble wrap around. Mary recently posted…A New Washing Machine? 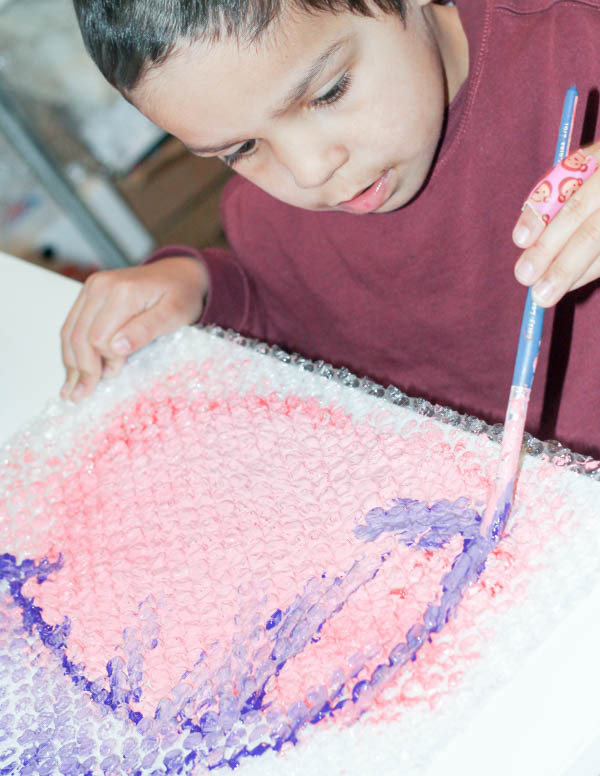 Bubble Printing is just PERFECT for Blossoms!